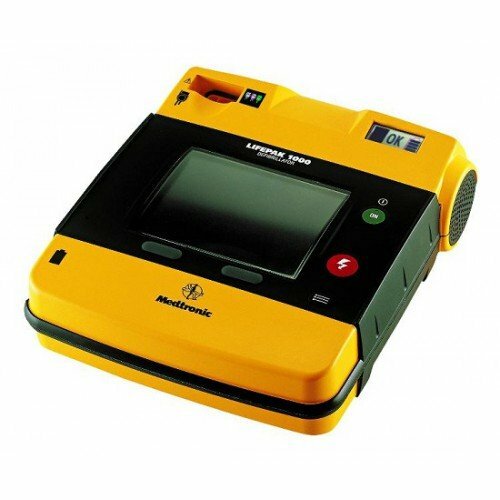 LIFEPAK 1000 with ECG Display - SHIPS FREE! The LIFEPAK 1000 Defibrillator with ECG Display is an industry-leading automatic external defibrillator. The device is very durably constructed and has been drop tested. It can also be stored in a vehicle without any risk of causing damage to the defibrillator. 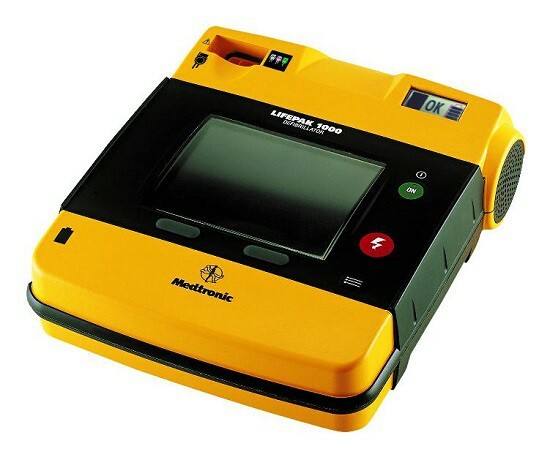 This particular model of the LIFEPAK 1000 is ECG capable with a 3-lead ECG function when needed. The device has a shock counter that digitally records and displays when shocks have been delivered and can transfer this data to a computer. The LIFEPAK 1000 is unique because it is capable of delivering shocks that equal up to 360 joules. Studies have shown that some victims who do not respond to a shock at 200 joules are more likely to respond to a shock at 360 joules. When in use, the LIFEPAK 1000 will first determine whether a shock is necessary or if CPR should continue. If the shock is deemed necessary, the AED will begin to administer a 200-joule level shock and gradually escalate the power level. The LIFEPAK 1000 comes with cprMAX technology that allows the rescuer to continue administering CPR while the AED is charging. This will minimize the number of CPR interruptions. The CPR Countdown Timer clearly instructs the rescuer on how long each CPR interval should be. The device has clear, loud voice prompting and graphics that make it easy for anyone to follow the instructions. The interface can also be programmed to adhere to a team's CPR protocol. The electrodes that are included with the AED are compatible with all other types of LIFEPAK AEDs. Can this machine's defibrillator be manually overridden and changed to a cardiovert status if needed? We do not manufacturer the product and cannot answer the question accurately. It's best to contact the manufacturer for specific information.